“We are excited to be named a Top-Rated 2017 Nonprofit,” says David Walker, President and CEO of the Coalition to Salute America’s Heroes. We are proud of our accomplishments this year, including our efforts to support veterans during Hurricane Harvey, several Feed The Children events, and of course our main mission of providing emergency financial aid. 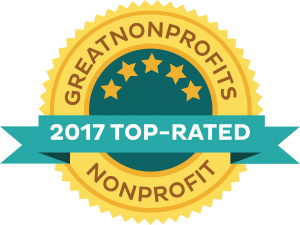 The Top-Rated Nonprofit award was based on the large number of positive reviews that the Coalition to Salute America’s Heroes received – reviews written by volunteers, donors and clients. People posted their personal experience with the nonprofit.